Congratulations to Dr. Arun Devaraj at Pacific Northwest National Laboratory on being elected for a six-year term on the International Field Emission Society steering committee. The society organizes an international symposium, held every two years. The events bring together experts from around the world to discuss the latest developments in nanoscience and atom probe tomography. Such developments are revolutionizing batteries, sensors, and much more. As one of the nine committee members, Devaraj will help organize three events. Organizing the biennial events draws on Devaraj's research and connections to the scientific community. His work focuses on tiny structural changes in metallic alloys. He's answered tough questions about materials by obtaining high-resolution 3-D images. He's taken many of these images using atom probe tomography. This capability, and others he uses, are in DOE's Environmental Molecular Sciences Laboratory (EMSL), an Office of Science user facility. 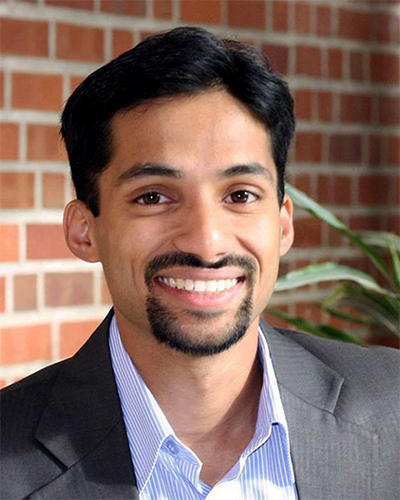 Devaraj was nominated to this position by his colleague Dr. Daniel Perea, who leads atom probe tomography research for biological materials in PNNL. "I am very happy. I wasn't expecting to get elected being still early in my career," said Devaraj.